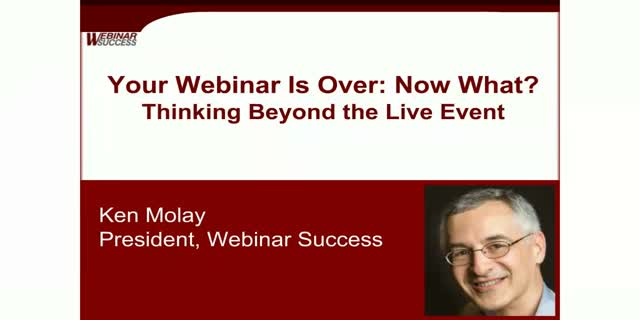 Are you judging the success of your webinars purely on the results from the live presentation? The power of webinars lies in their ability to provide ongoing business returns long after “event day”. Effective marketers consider post-webinar promotions strategies from the start. Join us on the BrightTALK Academy as webinar expert Ken Molay shares best practices and practical advice for achieving post-webinar returns. This free online session will cut out the fluff with a concise 30 minutes of nonstop tips and tricks, followed by a full 15 minutes to answer your questions live on the air. You’ll be on your way with enough time to get a cup of coffee and prepare your notes for your next meeting!